Gary and Nancy Short were the first participants of the Energy Star Rebate Program sponsored by the City and Borough of Sitka and the Sitka Conservation Society. 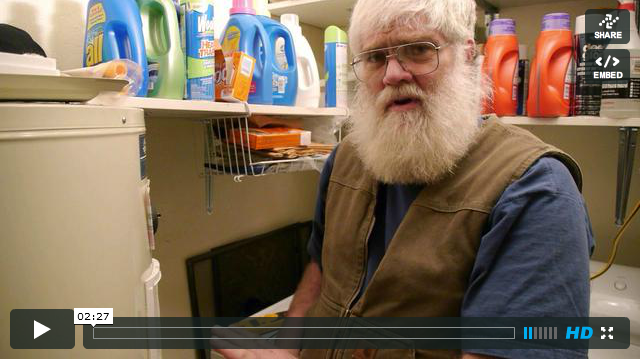 They replaced their old (1972), inefficient freezer with a new Energy Star rated freezer. Just look at the difference! 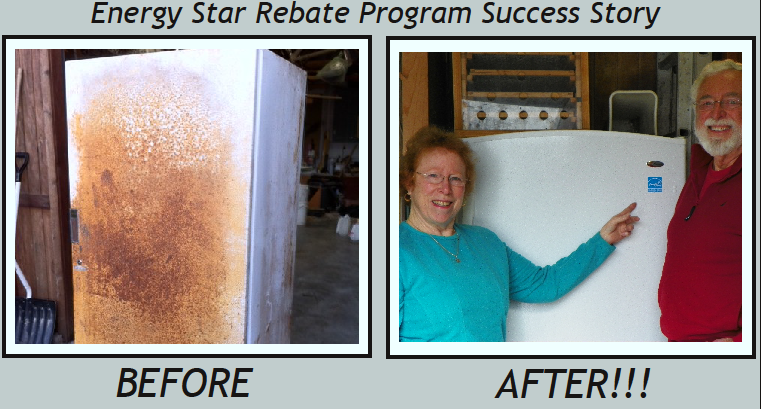 The Energy Star Rebate Program kicked off in late February and provided electric users with the opportunity to upgrade to an Energy Star appliance and receive a rebate ranging from $165-$1,500. The program was well received by residents in the first few months and is already showing great potential to make a dent in Sitka’s electric consumption. The program grants rebates for five Energy Star appliances, which were chosen to maximize energy savings. Residents can choose between Energy Star refrigerators, freezers, washing machines, heat pump hot water heaters, and air or ground source heat pumps. After dropping off the old appliance at Scrap Yard and receiving a receipt of disposal, you are ready to complete the application. The application consists of a one page form that can be downloaded on the Electric Department page of the City website or can be picked up at the Electric Department at 105 Jarvis Street. One participant even described the application process as “surprisingly painless and very easy to follow”. After the information provided on the application has been verified, the City will write a check made payable to the applicant and mail it to the address provided – it’s as simple as that! After only three months since the program start date, 47 participants have taken advantage of this opportunity and upgraded to an Energy Star appliance. 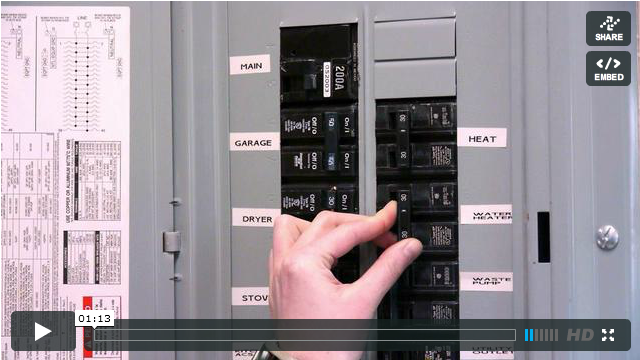 The result: almost 50,000 kWh have been removed from the electric grid annually! The energy savings are expected to continue increasing as the remaining 75% of the allotted funds are used by homeowners seeking energy efficiency upgrades. To maximize the energy savings of the $100,000 in the initial fund, $70,000 is allocated for air or ground source heat pump rebates and the remaining $30,000 will go towards all other appliance rebates. Therefore, although a majority of the funds remain in the program, only $22,475 is available for appliances other than air or ground source heat pumps. Rebates will remain available until funds are used in each category or until June 30, 2012. Are you on the fence about purchasing an Energy Star appliance? Now is the time to act! Make sure you get a rebate for an Energy Star refrigerator, freezer, washing machine, or heat pump hot water heater before funds run out! 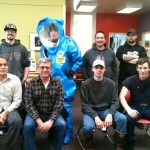 To learn more about the program, including frequently asked questions, visit www.cityofsitka.com. 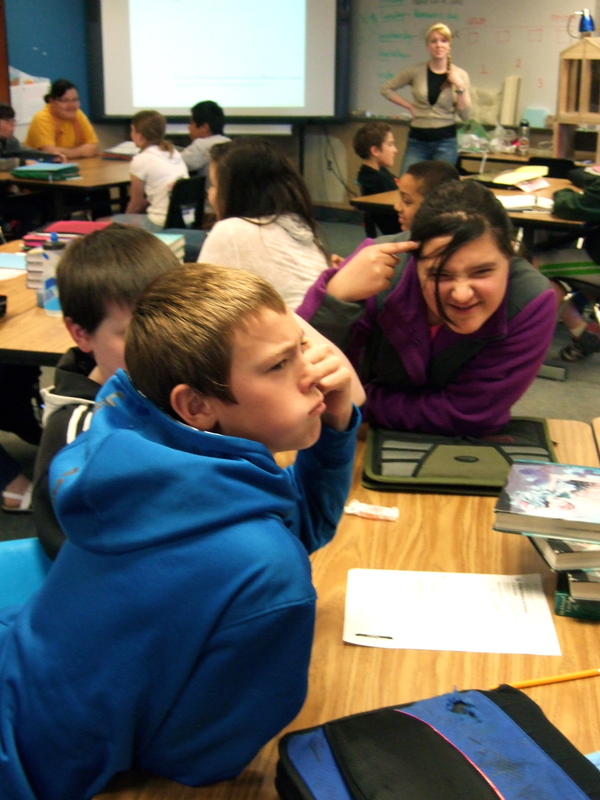 Students in 6th grade learned about various ways to weatherize their homes. One of the topics in this lesson discussed the importance of proper ventilation. 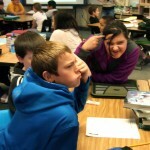 Energy education classes in Blatchley Middle School are back by popular demand. 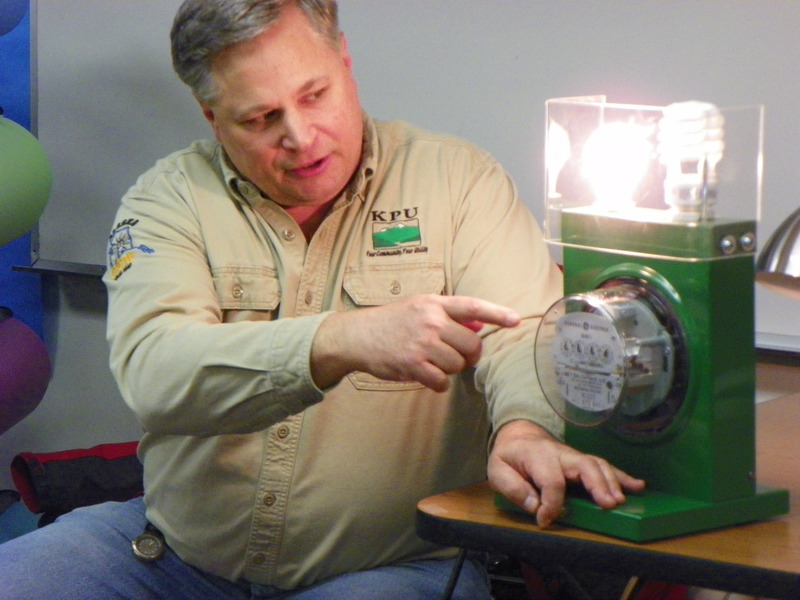 Sixth grade social studies teacher, Tom Henshaw, welcomed a lesson on hydroelectricity and Sitka’s energy thresholds last semester and was so pleased with it, he requested another lesson focusing on energy this semester. The lesson that all 115 students received was Weatherization 101. 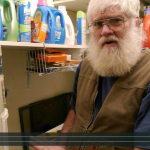 In this lesson, students learned a variety of ways to weatherize their homes for projects both small and large. Some of the weatherization projects examined were as simple as upgrading to energy efficient lighting. 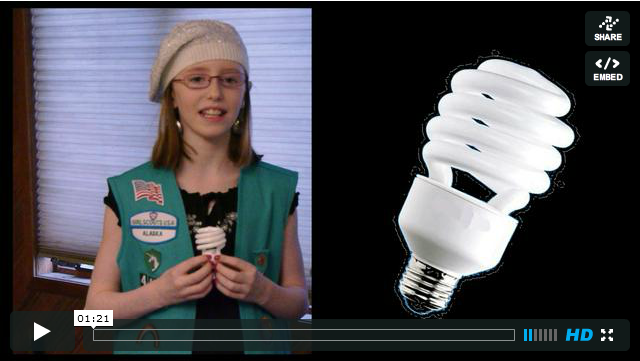 In this portion, students participated in class discussions that gave them an in-depth look at the difference between incandescent and compact fluorescent light bulbs. One of the more tedious and costly weatherization upgrades the students learned about was adding and identifying energy efficient insulation. Students were briefed on the four main types of insulation and given pros and cons for each. After analyzing the various insulation types, students broke off into groups and used their knowledge of insulation to rank four different samples of insulation from least to most efficient. Many of the groups were able to properly rank the insulation. A group of students ponder which insulation is most energy efficient during a brainstorming session. By the end of the lesson, students were aware of several ways to weatherize their homes and were encouraged to try some of the methods discussed in class with their families. 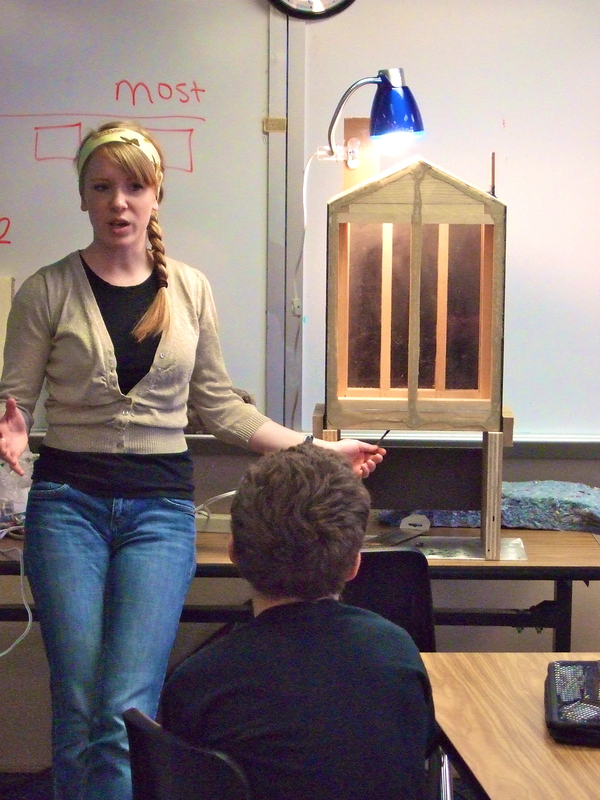 Despite packed schedules at the end of this school year, several other teachers made it a priority to make Weatherization 101 available to their classes as well. One third grade class was taught this lesson last week and a fourth grade class is scheduled to receive it in the beginning of May. 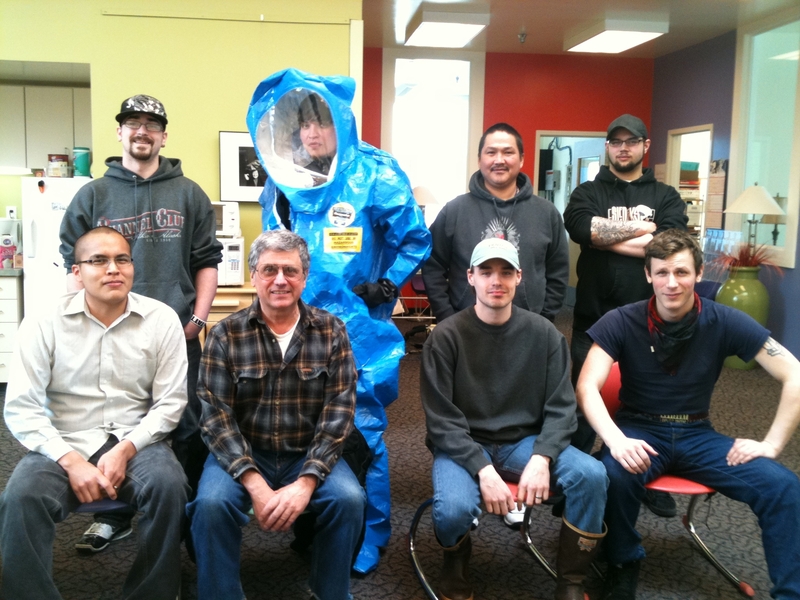 As a conclusion to the energy education these classes have received over the course of this year, each of the classes plans to take a field trip in May to experience Sitka’s energy first-hand. With the help and support of the Electric Department, the students will be able to tour the diesel generators the town uses when hydroelectricity alone cannot support electric needs. The tour will be led my engineer, Andy Eggen, and show students just how much diesel fuel is needed to run the diesel generators. When in full swing, the diesel generation plant uses eight truckloads of fuel in a single day! The students will also get a tour of the Blue Lake Powerhouse led by Senior Operator, Frank Rogers. During this part of the tour, students will look at how the City controls the hydroelectricity produced by the dams and will allow them to see the infrastructure that allows Sitka to have this renewable energy. By the end of this year, the hope is that some of Sitka’s youth will have the knowledge necessary to make wise choices regarding energy conservation and lead their generation towards an energy independent Sitka. 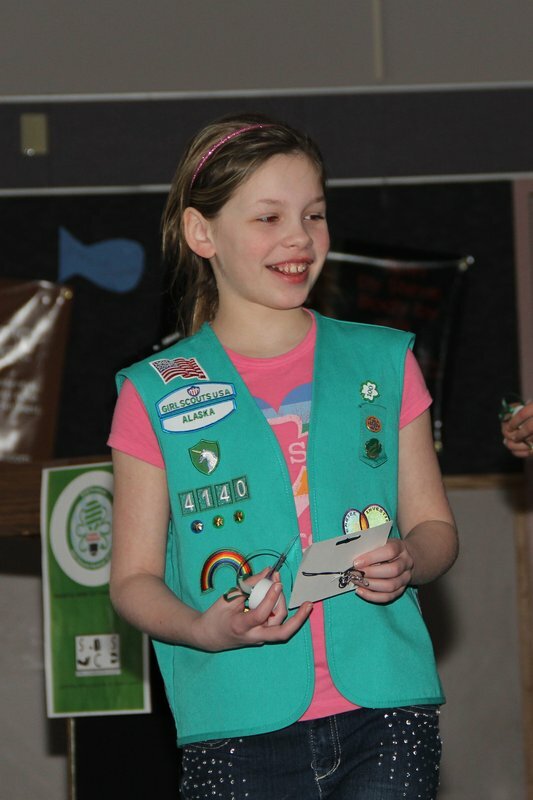 Junior Girl Scout troop #4140 member, Autumn Dismore, persuades the audience to push for conservation efforts that make for a more energy independent Sitka (Photo provided, James Poulson, Daily Sitka Sentinel staff). 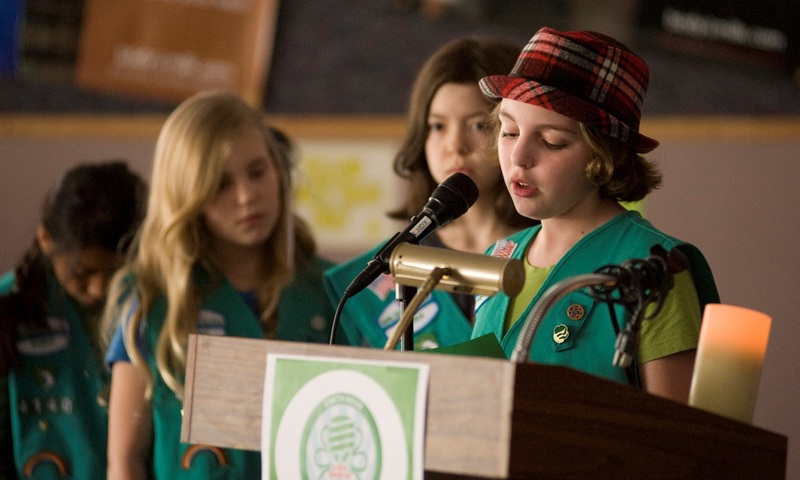 Through the Forever Greencampaign, Girl Scouts hopes to bring communities together across a global effort to improve the environment and protect natural resources. 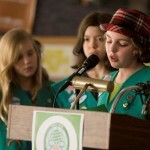 As part of this broad mission, Girl Scouts designated March 31st as Earth Hour; an hour on this day in which everyone is asked to show their support of energy conservation by encouraging sustainable behavior change, reducing CO2 footprint, and saving energy by turning off every light in the building. The girls in troop #4140 felt that this existing event’s mission fit in well with their conclusions of the energy journey. The scouts made Earth Hour open to the entire community and held it at their school, Keet Gooshi Heen Elementary. They also invited participants to support energy awareness by attending this event, lit entirely by candlelight. Troop #4140 laughes as they watch the presentation of the weatherization video they filmed, Caulking Cracks. Romy Bekeris smiles as she accepts her certificate of completion for the Get Moving Journey. The support the Girl Scouts received at this event from both a community and statewide level was truly astounding. Over 75 community members and 27 Girl Scouts joined the event to show their support for Earth Hour and the troop’s mission to promote energy awareness. Of the participants, two community members acted as guest speakers giving the audience a more broad perspective of energy conservation in Sitka. Utility Director, Chris Brewton, was present at the event to give a special thanks to the girls for their conservation efforts which decrease Sitka’s dependence of diesel fuel. Sitka School District Board Member, Tim Fulton, also spoke at the event on energy use in the schools. In addition, he thanked the girls for the weatherization recommendations to the board and discussed the board’s tentative energy audit of Keet Gooshi Heen as a response. Melissa Edwards, Girl Scout Southern Tongass Membership and Program Specialist who collaborated with SCS on the “Green Girls Grow” event, also congratulated the girls in troop #4140 for their achievement. Just last week, Senator Stedman himself sent a letter of recognition to the troop for their work and gave them each a forget-me-not pin, the Alaska state flower, to show his appreciation of their efforts to become more energy efficient. It is easy to see through the broad array of those who recognized the girls, that the impact of their work is of great importance to a sustainable future. 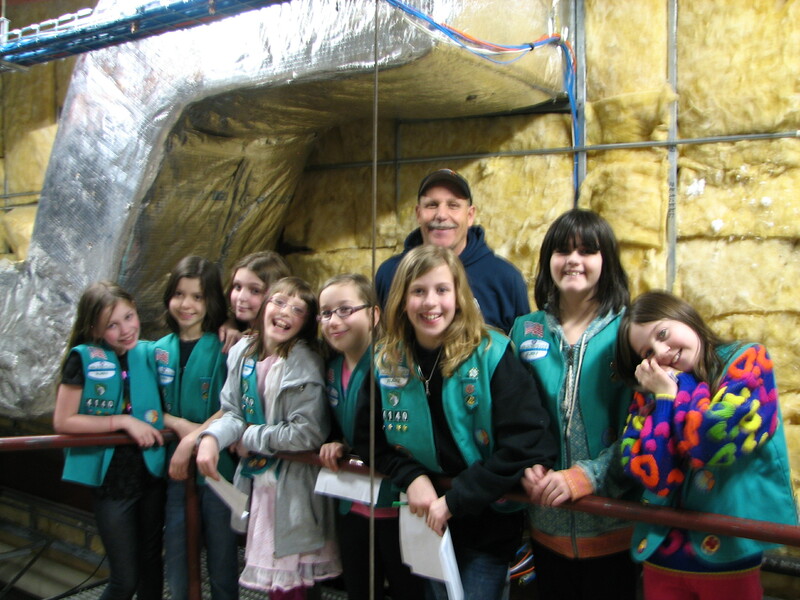 The Girl Scouts in Ketchikan had the opportunity to learn about energy efficiency first-hand with the help of an engineer from Ketchikan Public Utility (KPU). 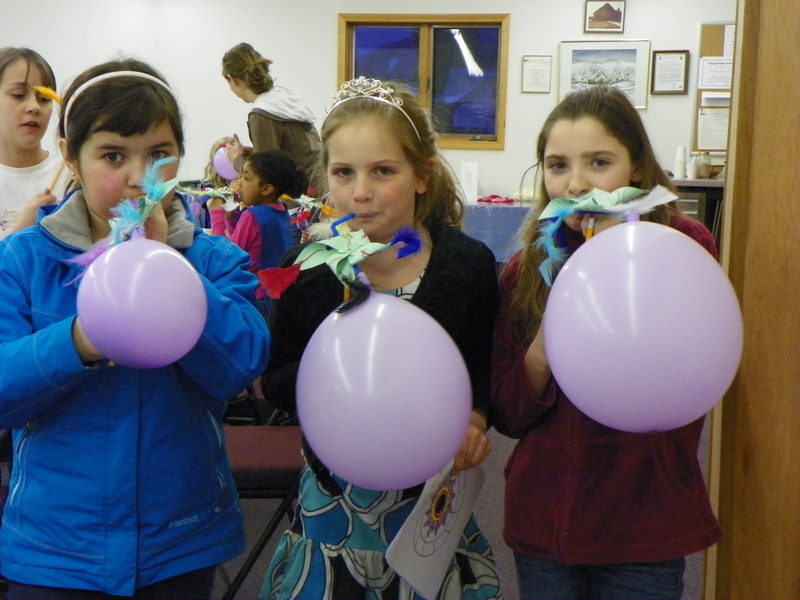 Green Girls Grow is an event that toured three communities in Southeast Alaska to bring Girl Scouts a new way to look at renewable energy and conservation. Bitty Balducci, SCS AmeriCorps member, and Melissa Edwards, Girl Scout Southern Tongass Membership and Program Specialist, developed the energy-themed curriculum and made plans to tour Ketchikan, Petersburg, and Sitka in early March. The event reached over 75 girls in the three communities and gave them a look at renewable energy in Southeast as well as fundamental concepts of conservation. The event ran two days in each community: the first for Daisy and Brownie Girl Scouts, the second for Junior and Cadette Girl Scouts. 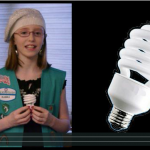 The activities on each day reflected the different badges and awards offered through the Forever Green campaign promoted by Girl Scouts as a long-term effort to increase energy efficiency awareness and encourage conservation in the community. The girls learned about the effects of fossil fuels on the environment, wind energy, hydroelectricity, solar power energy, and more through hands-on activities that modeled each type of renewable energy! 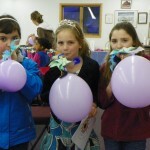 Petersburg Girl Scouts demonstrate the efficiency of the wind energy with their very own rocket pinwheel. Ketchikan and Sitka had the privilege of hosting experts in energy efficiency for the event in their communities Gregory Fast, an engineer from Ketchikan Public Utility, showed the girls how much energy a household could save by switching to energy efficient lighting. 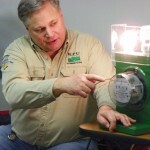 An incandescent and compact fluorescent light bulb were connected to a meter reader and the girls observed as the dials spun much more rapidly with the incandescent, thus, using a significant amount more energy to power. University of Alaska Southeast Assistant Professor of Construction, Greg Reynolds, made a model specifically for this event to demonstrate conduction and convection in the home.He showed the girls how inadequate insulation can cause mildew, and eventually molding in walls of homes and the weatherization updates necessary to stop the cycle. 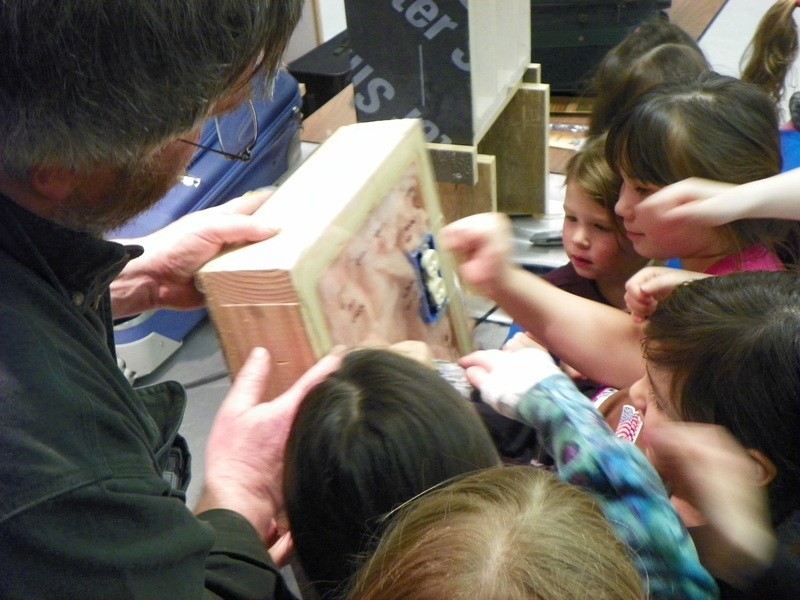 Greg Reynolds shows Sitka Girl Scouts the condensation that built up in wall insulation. 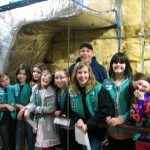 The Girl Scouts of troop #4140 pose with Bill Steinbaugh, Sitka School District Maintenance Supervisor, in the attic of Keet Gooshi Heen Elementary School. 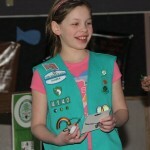 Last Friday, Girl Scout troop #4140 continued the Innovate Award for the Get Moving Energy Journey. As part of the journey, the girls went on an energy tour of their school, Keet Gooshi Heen Elementary. 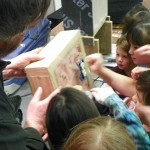 Sitka School District Maintenance Supervisor, Bill Steinbaugh, volunteered to lead the girls on the tour in order to help them better understand the energy in the building they use almost 40 hours every week. He showed the scouts the backup diesel supply, the boiler room, the various air ducts throughout the school, the attic and contributed his expertise of the energy system in each location. 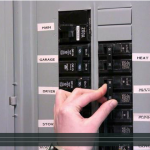 This detailed tour gave the girls an in-depth look at the school’s energy systems and procedures. Some questions the girls asked include what kind of heating system is used, its efficiency, and any weatherization updates made to the building since it was erected in 1989. The scouts were surprised to learn that no notable weatherization improvements have been made since it was built over 20 years ago. Another shock came when the troop learned that the school spends an average of $4,600 a month on utilities during the school year! The next step for troop #4140 is to submit the information they gained from the tour to an online database where they can compare their school’s efficiency to other schools in the region as well as throughout the country. After reviewing the information they found and discussing what they experienced, they will propose various weatherization improvement options to the school board to make the building more energy efficient. 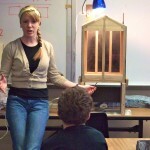 Through their work, the troop hopes to encourage the Sitka School District to think of long-term energy efficiency since 5 of the top 25 top electric users in 2010 were school buildings.